From the stables of Sweet Musik comes the visual to “Alafia” crooner, Didi’s latest single titled “Give Me Love”. The song feature Mavin Records singer and “Easy (Jeje)” hitmaker, Reekado Banks. This hit was produced by super-talented producer, GospelOnDeBeatz, and the video shot by popular Lagos-based video director, Clarence Peters. Currently in the Nigerian music industry, it has now become knowledge that adding super-talented singers like Mavin Records act, Reekado Banks on a track is the best recipe for creating a scorching musical dish! And from the look of things, it looks like Didi clearly got the message. It’s no surprise therefore that the “Alafia” crooner recruited the help of the talented singer for his new track, “Give Me Love”. Given that it’s a party season, and with summer occurring just at the right time; it makes a lot of sense that artistes keep releasing party songs to get fans grooving. 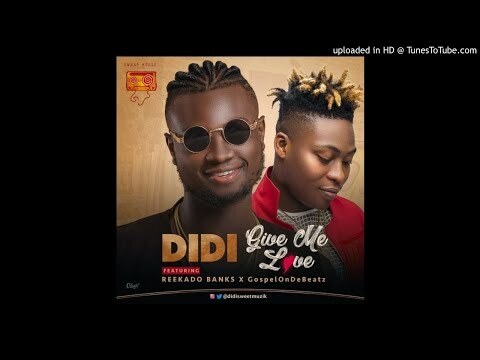 “Give Me Love” is a fiery and fast-paced summer tune that will definitely be making rounds, as it’s the typical song that Nigerians love to turn up to.